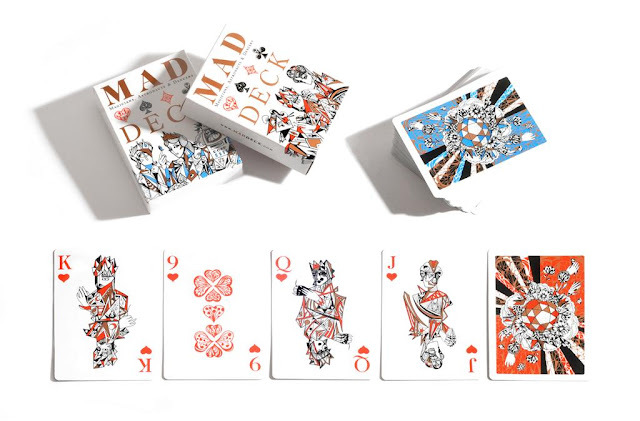 If It's Hip, It's Here (Archives): MADDECK Playing Cards By Ozlem Olcer. 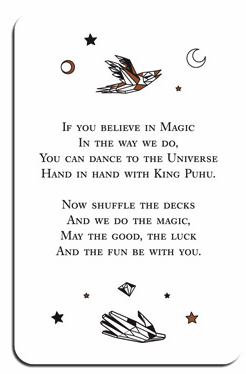 They're Magically Cubistic. MADDECK Playing Cards By Ozlem Olcer. 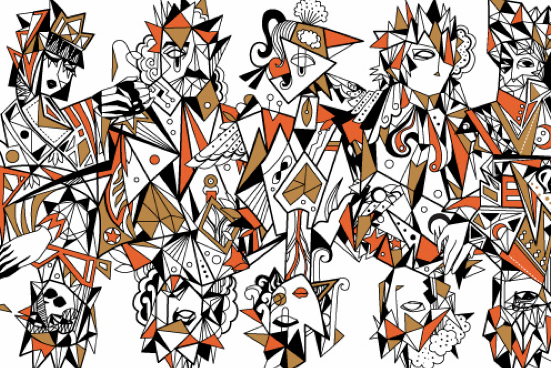 They're Magically Cubistic. 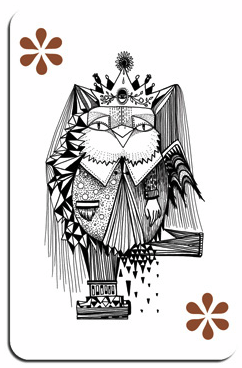 The MADDECK is a series of playing cards which feature stunning illustrations by Ozlem Olcer. 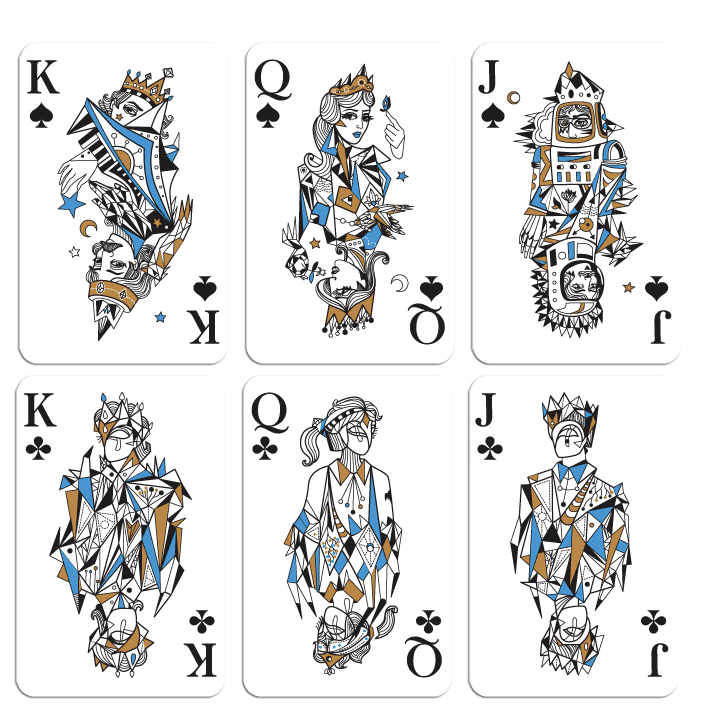 The deck was created for PAG, an Istanbul based design company developing projects and manufacturing products in collaboration with graphic artists and illustrators. 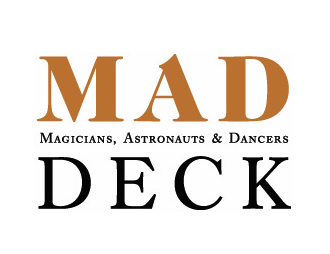 The name Maddeck - short for ‘Magicians, Astronauts & Dancers’ - is given after the first 3 dream jobs of the designer as a child. 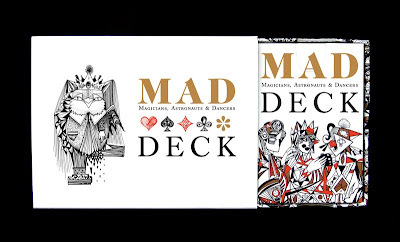 The deck is a reflection of unusual and edgy designs with an innocent feeling, much like the designer herself. 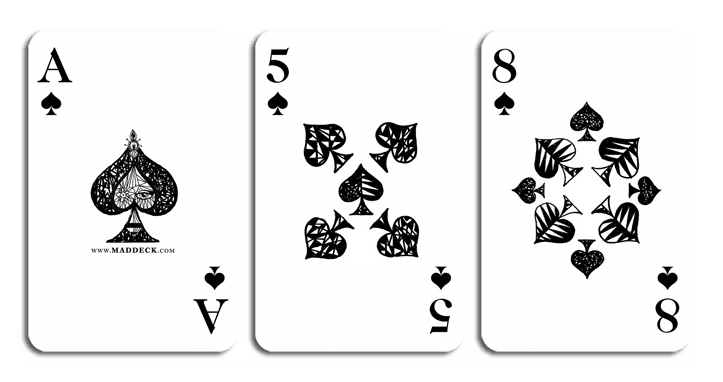 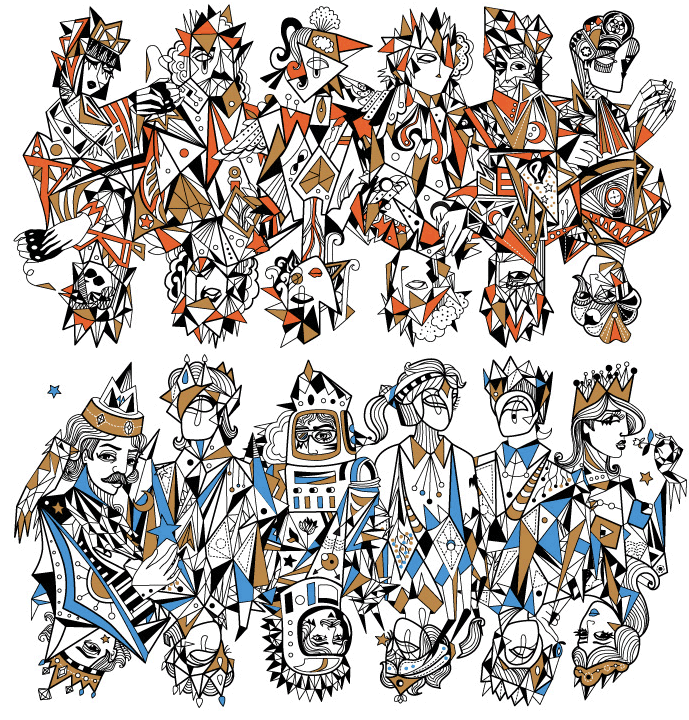 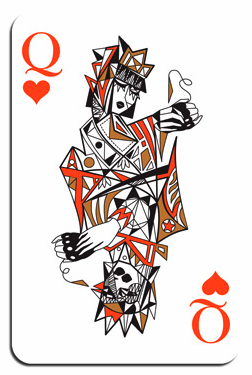 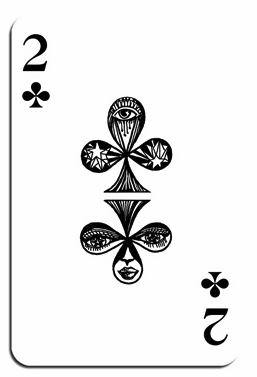 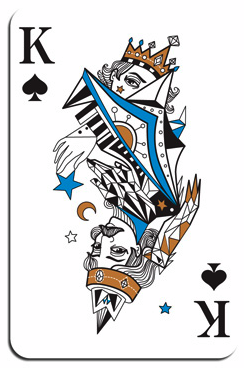 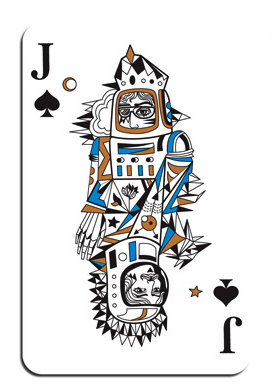 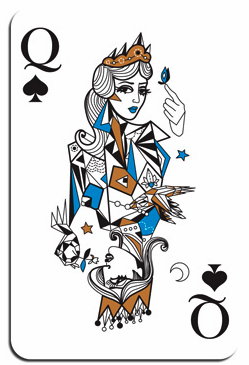 This combination shows itself both on the one by one hand drawn shapes of spades, clubs, hearts and diamonds and also on the expressions of the characters in J, Q and K. The Joker of the deck is King Puhu, the famous and beloved drawing of Özlem Ölçer. 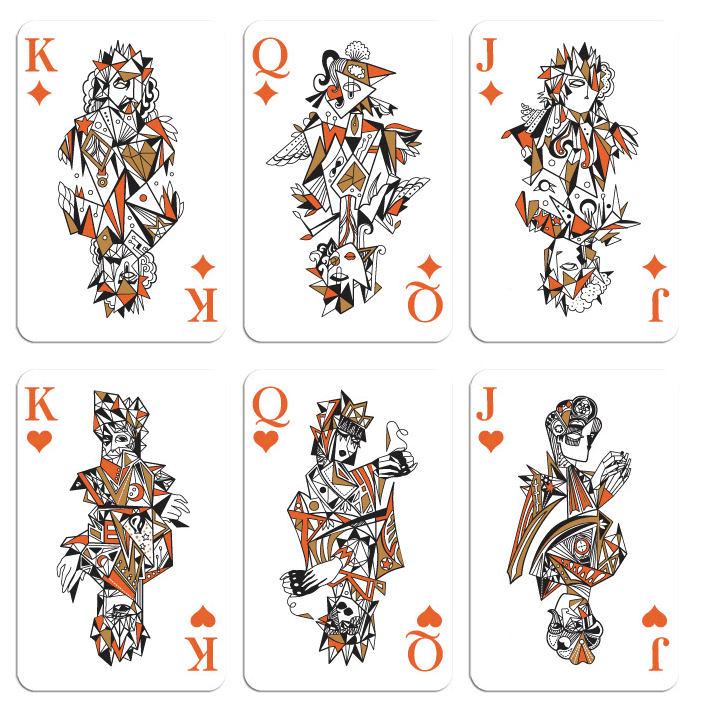 The idea of the project is creating a brand of collectible playing cards with an alternative interpretation to the traditional decks. This is an ongoing project, where a new deck will be designed every six months by various graphic artists and illustrators. 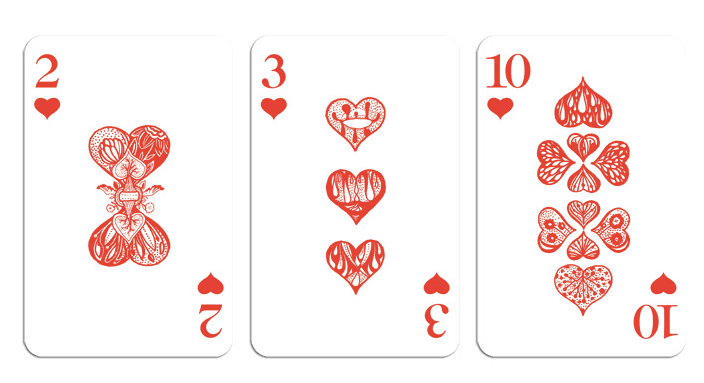 Although design and aesthetics is the main starting point of the project, the functionality and quality of the decks are also considered as important as visual expectations, making playing cards not only collectible but also usable and comfortable to play. 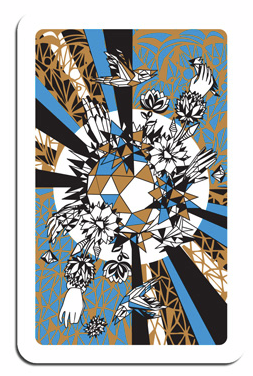 They are sold in a box of two decks with different backside colors. 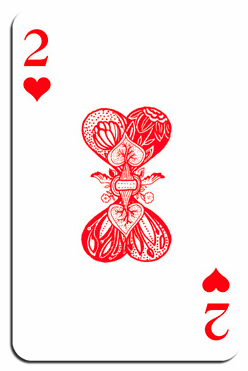 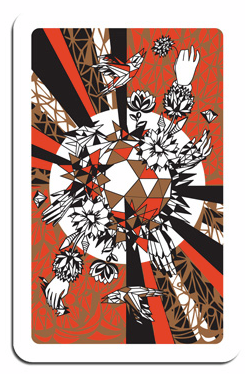 In every deck there are 55 cards, one giving information about the artist and the deck. 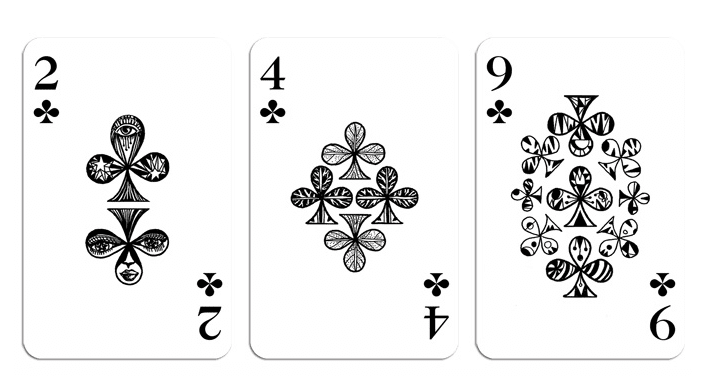 The cards and the inner boxes are printed on 330 g black core paper imported from Germany, an ISEGA certificated, very durable and flexible material, which cannot be seen through and is indispensable by considering the quality of playing cards. 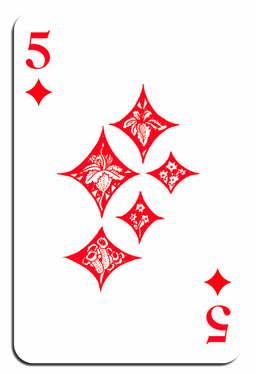 It is also the optimum material with its particular characteristics such as very high opacity and good flatness. 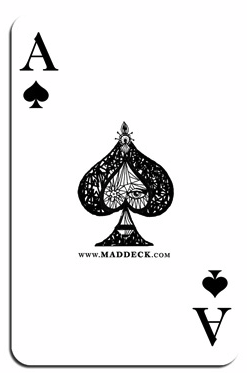 Sold 2 decks to a pack.